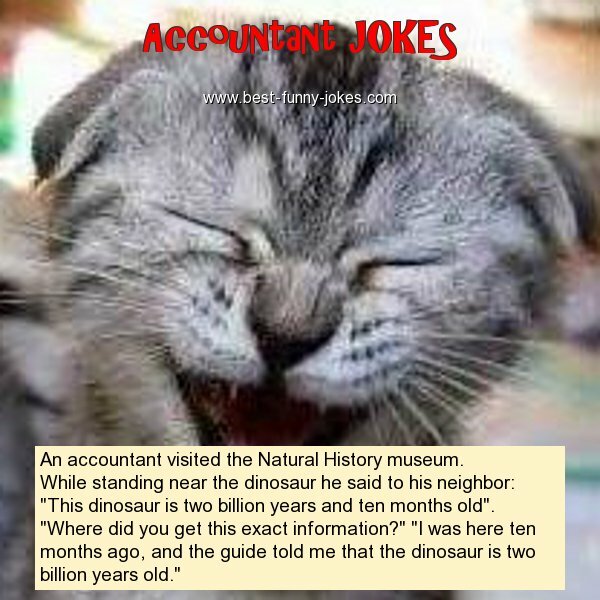 An accountant visited the Natural History museum. While standing near the dinosaur he said to his neighbor: "This dinosaur is two billion years and ten months old". "Where did you get this exact information?" "I was here ten months ago, and the guide told me that the dinosaur is two billion years old."